100% Spray-free macadamias grown by Torere Macadamias and coated in three separate, delicious chocolate flavours; Milk, Dark and White – a brilliant taste delight with choices to tempt all chocolate lovers. These make fabulous gifts for friends and family. 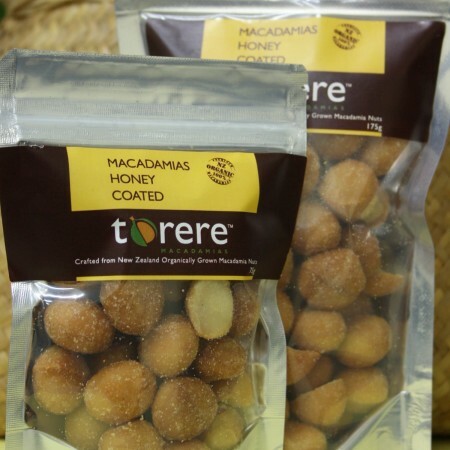 Send someone special a real treat today! 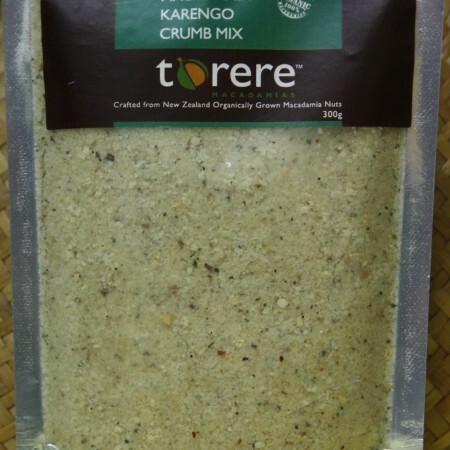 Photograph shows 450g bag. 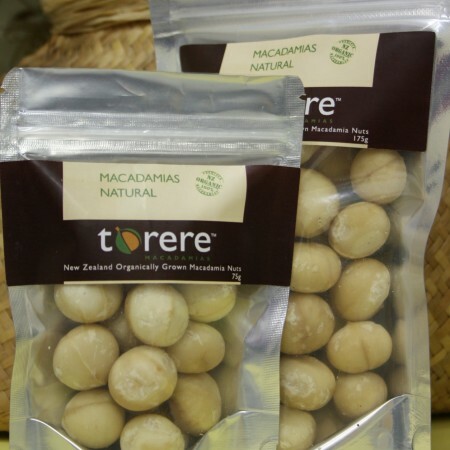 Certified Organic roasted macadamias coated in Milk and White chocolate. 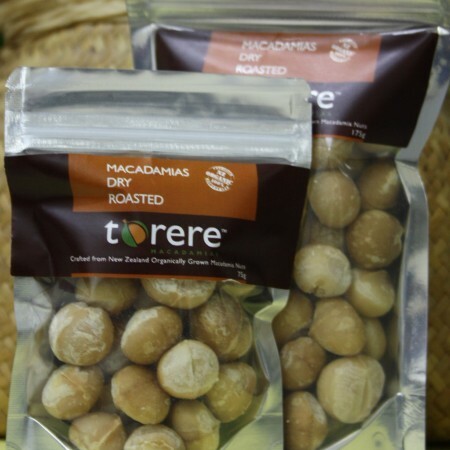 Roasted macadamias enhance the macadamia flavour and creates a delightful melt-in-the mouth texture for an amazing chocolate crunch, taste experience. 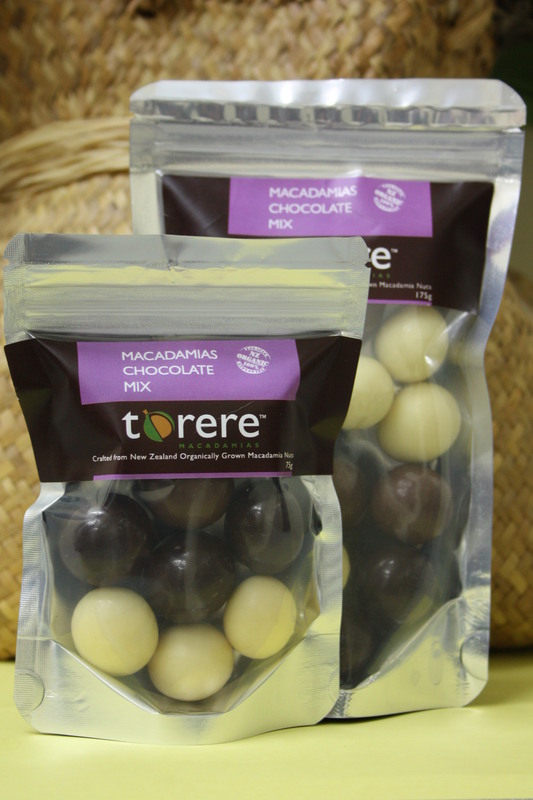 Certified Organic raw, natural macadamias coated in Dark Chocolate. Dark chocolate lovers prefer the rich cocoa chocolate flavour with natural raw nuts to ensure the chocolate ‘buzz’ is not compromised but forms a delicious partnership.